Opportunity with Harlequin, Permuted Press, Etc. To follow up on last week’s post about Harlequin Series, November 1-5, Harlequin is hosting an editor’s week on their blog. Fifty Harlequin editors will be posting about what they’re looking for and interacting with blog readers. You can ask questions, enter contests and even pitch your story. Sign up for a webinar with editors or simply lurk on the blog. Find out all the info at So You Think You Can Write? Do you live outside the United States? Do you travel frequently outside the United States? Glimpse, a website sponsored by National Geographic, is looking for correspondents to write about travel to places around the world with an insider’s perspective. As a Glimpse correspondent you’ll be published regularly on the website and receive $500. Find out all the details here. A Willing Spirit, the reissue of one of my early historical novels (originally written under the name Cynthia Sterling) is not available from Aspen Mountain Press’s Aurora Historical line. Read a free sample and pick up your copy here. As always, feel free to pass along information from this blog. All I ask is that you give me credit and include a link. Thank you. Note: Harlequin has announced that beginning in Spring 2011, all Harlequin and Silhouette lines will carry the Harlequin imprint. Right now, no announcements of editorial changes have been made. This has been presented as an attempt to build a stronger brand by having all books under the Harlequin imprint. Executive Editor Birgit Davis-Todd opened the spotlight and emphasized Harlequin’s desire to find new authors. Harlequin purchased books from 46 new authors last year. A number of editors then took turn talking about different aspects of Harlequin. 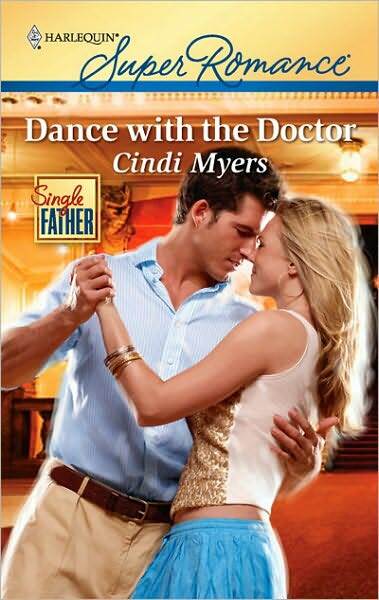 She mentioned that Medical Romance particularly needs submissions right now. If you have a medical background or are familiar with a medical setting, this series line needs you. Editors took turns talking about debut authors with Harlequin and Silhouette and the reasons their stories were bought. Blaze Senior Editor Brenda Chin goes for a “witty, irreverent voice”. She talked about using strong voice to craft stories that are fresh, but work within some of the popular miniseries in Blaze such as Wrong Bed and Forbidden Fantasies. Senior Editor Tina James with Love Inspired Suspense and Love Inspired Historical spoke next. She talked about wanting prolific authors who can stand out in the line by writing new and creative twists that still fit the line. She gave the example of a suspense author who, rather than just writing about cops, wrote about a stunt pilot, a jewel thief, and other unusual heroes and heroines. Senior Editor Stacy Boyd with Silhouette Desire talked about three things she likes in an author: 1) a willingness to revise, 2) adaptability in her writing and 3) a knowledge of the line she’s targeting. As a new author, you may be asked to work with your editor to revise before your manuscript is accepted. Kelly Martin, Sr. Editor at Kimani Romance spoke next. She is drawn to very strong storytelling skills, and heroines who take risks in smart ways, capable heroines. Kimani publishes African-American love stories and interracial romances. 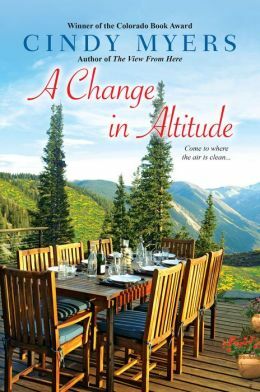 Kathleen Schiebling, senior editor of American Romance, looks for humor and energy, authors who can take editorial direction, strong heroes and wonderful small town settings. Developing a relationship with an editor and working with them to develop the story are key. Linda Fildew, Sr. Editor at Harlequin Mills and Boon, is responsible for Harlequin Romance, Harlequin Historical and Mills and Boone Historical. She often finds authors through contests and encourages authors to enter contests, particularly the Golden Heart. They like to take chances on different historical periods with their historical romance lines. Jenny Hutton, editor of Harlequin Presents, has found authors through Harlequin sponsored contests such as the I Heart Presents contest in 2009. Harlequin has just launched a New Voices competition, an American Idol style competition with chapters judged by the public and editors. Go to the Romance Is Not Dead website. Tara Gavin spoke about Harlequin Nocturne. These stories have surprising twists and unpredictable elements. The editors here really like books that stand alone, but hold the chance for mini-series – brothers, sisters, friends and other relationships that can be spun off into more books. Writing for Nocturne Bites, the short (15,000 word) e-stories, is a good way to break into this line. You do not have to have an agent to write for Harlequin. Editors welcome submissions and read all submissions. Find guidelines for all the Harlequin and Silhouette category romance lines on their website. 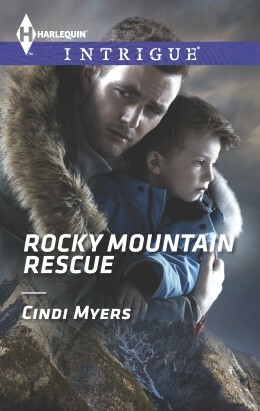 Aspen Mountain Press’s new Aurora Regency Historical imprint launched this week. Aurora will be re-releasing all my historical romances as ebooks. First one up, A Willing Spirit. The editors are actively looking for more books to publish — historical romance and traditional Regency romance. They’re open to new authors and to established authors who have a backlist they want to publish in e-format. Check out their guidelines here. Grand Central Publishing and More. The Spotlight on Grand Central was presented by Amy Pierpont, Editorial Director of Forever, Grand Central’s romance program, along with senior editor Selena Mclemore and associate editor Michele Bidelspach. Other members of the editorial staff who were not present include Senior Editor Karen Kosztolnyik, and assistant editors Celia Johnson, Alex Logan and Latoya Smith. All are acquiring new manuscripts. They began, as many of these workshops do, with the editors showing some of the new books coming out from the imprint in the next few months. Most romance authors at Grand Central start out at the Forever imprint. As their sales grow, they may move to the main Grand Central list. They accept agented only material. You can get around that if you meet them at a conference and they request your material, or if they judge you in a contest and request your material. Manuscripts should be 85,000 to 95,000 words. Published authors may submit a proposal of the first three chapters and a synopsis. First-time authors must have a complete manuscript to submit. Submit your work to one of the Forever editors at a time. If she turns you down, don’t submit again — a no from one is a no from all. You can sign up for their newsletter. Amy likes dark, edgy, almost gothic paranormals. Selena is drawn to strong characters who are engaging. Michele is drawn to a strong voice. Feel free to pass on information from this newsletter to others. All I ask is that you give me credit and include a link back. Thank you. This week I continue my look at publisher spotlights from the Romance Writers of America National Convention with a look at Pocket Books. The Spotlight was presented by Executive Editor Lauren McKenna and Senior Editor Abby Zidell at Pocket and Gallery Books. Lauren started the presentation by talking about the various imprints at the publishing house. Gallery Books is a combination of Simon Spotlight Entertainment, which focused on pop culture and celebrities, and Pocket hardcover and trade paper, focused on commercial fiction and commercial literary. Pocket Books publishes mass market fiction, including romance and urban fantasy. Under romance, Pocket publishes paranormal romance, historical romance, contemporary romance and romantic suspense. They also publish urban fantasy. They discussed their preferences for paranormal romance. “You can’t go wrong with vampires.” Lauren doesn’t like dragons and isn’t a huge fan of futuristic paranormal. Abby isn’t into shape shifters or futuristic paranormal. They already have a fallen angels series so don’t need another one, but almost anything goes – as long as it’s well written. “We’ve seen an increase in the contemporary market,” Lauren said. 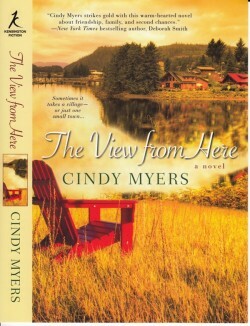 “We’ve seen a move toward small-town, contemporary romances.” They also publish humorous contemporary romance and women’s fiction with romance. “We only see women’s fiction growing.” These books do well in trade paperback. The contemporary romance that does well for them straddles the line between romance and women’s fiction – still a strong romance, but dealing with the kinds of life issues found in women’s fiction. You must have an agent to submit to Pocket. They talked about the Pocket After Dark website. This is an interactive website that brings together authors and readers. There are author spotlights, editor and author blogs, online chat and message boards and other features. 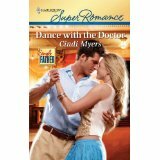 Dance With the Doctor is in stores now! As always, feel free to share the information in this newsletter. All I ask is that you give me credit and provide the link to the blog. Thank you.